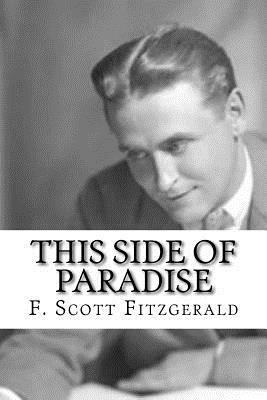 Wealthy and attractive Princeton student Amory Blaine dabbles in literature and romance, and becomes disillusioned by the greed and social climbing of post-World War I American youth. Show Excerpt y yes sure." He looked at her again, and then dropped his eyes. He had lashes. "I'm awful," he said sadly. "I'm diff'runt. I don't know why I make faux pas. 'Cause I don't care, I s'pose." Then, recklessly: "I been smoking too much. I've got t'bacca heart." Myra pictured an all-night tobacco debauch, with Amory pale and reeling from the effect of nicotined lungs. She gave a little gasp. "Oh, Amory, don't smoke. You'll stunt your growth " "I don't care," he persisted gloomily. "I gotta. I got the habit. I've done a lot of things that if my fambly knew"he hesitated, giving her imagination time to picture dark horrors"I went to the burlesque show last week." Myra was quite overcome. He turned the green eyes on her again. "You're the only girl in town I like much," he exclaimed in a rush of sentiment. "You're simpatico." Myra was not sure that she was, but it sounded stylish though vaguely improper. Thick dusk had descended outside, and as the limousine made.